Chanteuse Country US née le 31 Juillet 1962 à Riverside (Californie). An artist who combines the Bakersfield honky tonk tradition with a very here-and-now intelligence and sass, Heather Myles has developed a reputation as one of the finest traditional-style country singers to emerge in the 1990s and her songwriting is just as strong as her voice. Heather Myles was born and raised in Riverside, CA, where her parents, Jim and Vera Myles, raised her on a ranch. Myles grew up with an enthusiasm for horses, as well as the traditional California country sounds her parents loved. When she was a child, Myles picked up a ukulele belonging to her father and tried to learn how to play it; in time, she graduated to a guitar and in the 1980s, she began performing live with a group called the Lonesome Myle Band. Myles in time developed a strong reputation among the West Coast roots music community and in 1992, she released her first album, Just Like Old Times, recorded under her own name for the blues and country-oriented Hightone label. Her second album, Untamed, was released in 1995 and a live album, Sweet Little Dangerous: Live at the Bottom Line, followed from the British Demon label in 1996. 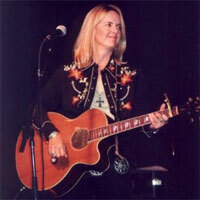 1998 found Myles moving to Rounder Records; her first album for the label, Highways and Honky Tonks, featured a guest appearance by one of her musical heroes, Merle Haggard, on the tune "No One Is Gonna Love You Better." Another Bakersfield boy, Dwight Yoakam, stopped by to sing a tune on Myles' fifth album, 2002's Sweet Talk & Good Lies. A collection of Myles's material for Hightone (which featured a previously unreleased song), Rum and Rodeo, appeared in 2005.